One hundred fifty-three of UPLB’s best and brightest are now official members of The Honor Society of Phi Kappa Phi. 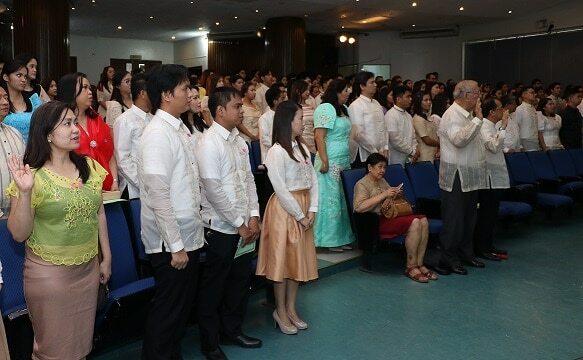 The international organization welcomed 11 juniors, 109 undergraduate and 31 graduate students, an alumna, and a faculty member from UPLB to its roster during an induction ceremony on June 13 at the NCAS Auditorium. The new members were invited to Phi Kappa Phi based on their academic excellence, superior character, and leadership. Eligible scholars are among the top 7.5% for juniors, and top 10% for the undergraduates and graduates. Faculty, professional staff, and alumni, on the other hand, qualify to the Honor Society through scholarly distinction. In his inspirational address, Chancellor Fernando C. Sanchez, Jr. emphasized the members’ responsibility to serve others as they receive the prestige of their membership. 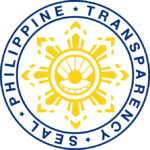 He said that as Phi Kappa Phi members and soon-to-be graduates of UPLB, they are expected to uphold the value of learning, excellence, and service above all. Dr. Carolyn I. Sobritchea, Dr. Georgina E. Encanto, Dr. Adelaida F. Lucera, and Dr. Mildred Padilla, president, vice-president, secretary, and UPLB representative, respectively, of the Phi Kappa Phi Chapter 045 (UP Chapter) led the induction ceremony.